The degree of Truth and Morality embodied in each of our choices, actions and behaviors will determine the degree of True Unity, Freedom and Peace we can achieve collectively. 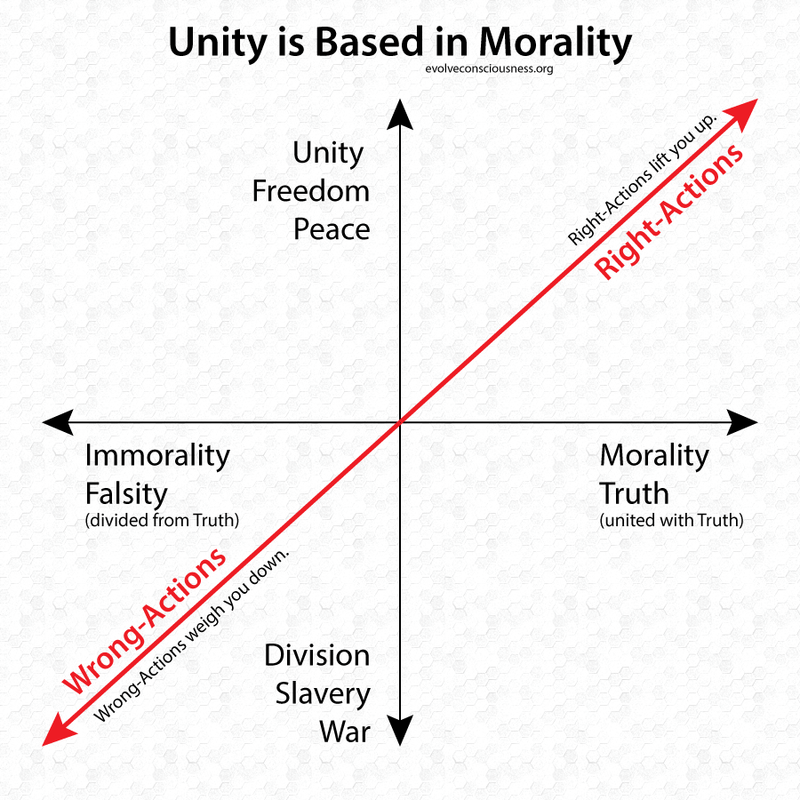 Morality is the foundational baseline for True Unity. All other differences are less significant. Violations of Universal Cosmic Spiritual Natural Moral Law do not result in the production of True Freedom, Peace or Unity.